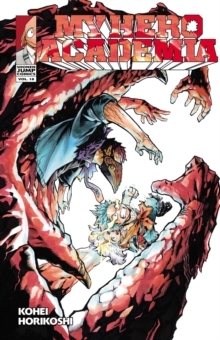 Midoriya is in the fight of his life-an all-out battle with Overhaul, who has unleashed all of his terrifying power. Midoriya is matching it with his own power, pushing One For All to 100 percent. Only by relying on Eri's restoration Quirk can he hope to take down Overhaul.